So, what basically do you mean by usability? It means to have a user-centered design. In user-centered design, both development and design processes revolve around user’s perspective in order to make sure to meet the user’s goals, mental models, and requirements while building efficient and easy to use products. Investing in UX optimization is what makes you win the heart of users. 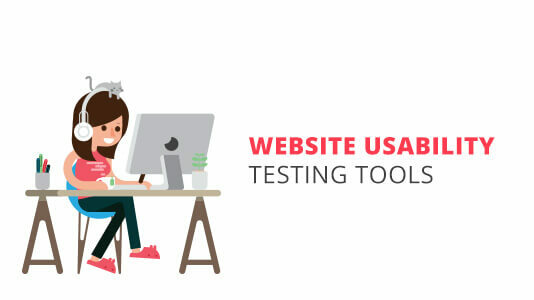 Here we are compiling the list of parameters and top usability testing tools which will help you to optimize the user experience. The primary goal of a perfect website is whether users are able to perform their tasks when they visit your website. So, we need to test user task analysis on highest priority. Ease of use:- How easy is it for a new user to perform a task? Accuracy:- How vulnerable to errors is the task? Maintain Integrity:- If a user makes a mistake while doing a task, how fast can he recover? Instinctiveness:-How obvious and easy is the task to accomplish? More efficient:-Are users doing tasks with optimization? There are many online tools available to check user task analysis. 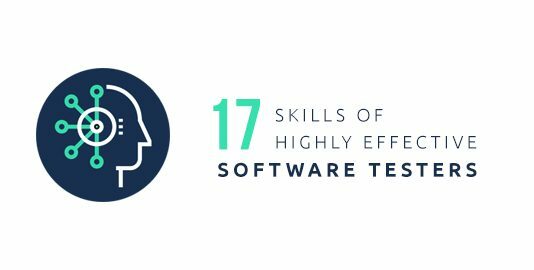 Here are the top usability testing tools for the same. Usabilla helps companies to improve the performance of their websites with live user feedback. This website helps to perform micro-usability tests, including the measurement of task performance. Loop11 is a remote based user task analysis testing tool that gives you lots of features which don’t need any coding knowledge.It provides very clean platform to setup tests and create report for same. 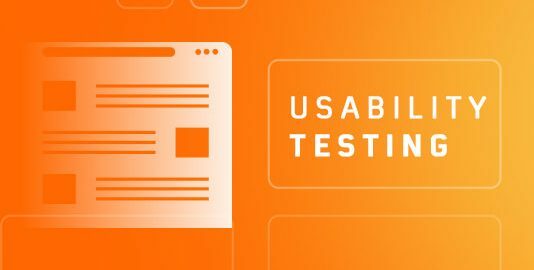 UsabilityHub is a remote usability testing tool that allows you to backup design decisions with real user data. Readability is the measure of how easy it is to read and comprehend a document. Website content readability is one of the key features of great user experience. However, a web app is not content-centric as, say, a blog or web magazine, but a problem in the understanding user interface may affect user retention. So we dig into this problem and found top usability testing tools to test the readability of a web app. This service analyses the readability of all rendered content. You need to give input URL and then you will get readability score based on different readability algorithm. Communication is important in personal and business relationships. So this is very important to make sure your users can understand your website content clearly. Wordscount will help you to make your business grow. This tool is useful for checking foreground and background color combinations of all DOM elements and determining if they provide sufficient contrast when viewed by someone having color deficits. This usability testing tool makes sure readability of your content stays as intended by design. This usability testing tool helps you to analyze your content entirely including your readability. 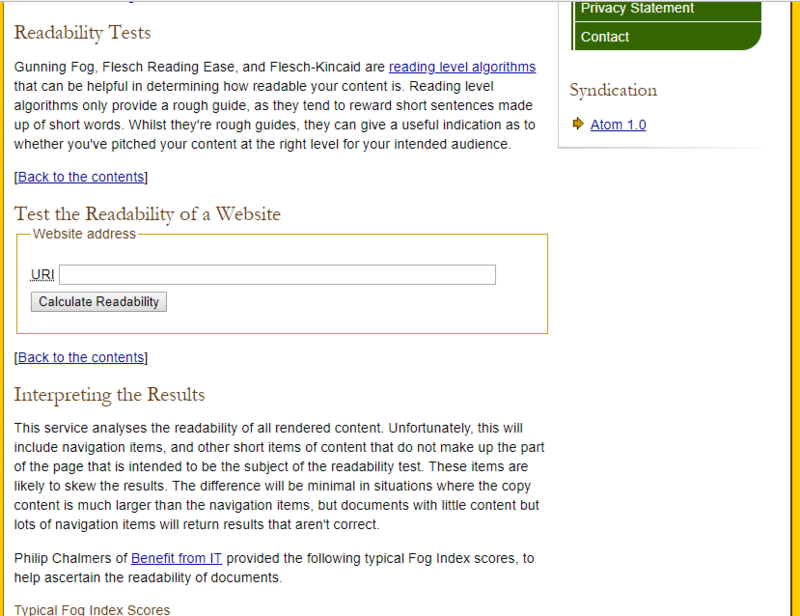 It gives you a readability score based on various readability scales like Flesch Reading score. You get line-wise readability score for very good scoring or bad scoring lines. It means how easy it is to move from one component to another component in a website. If a user lands on your website, he must be able to reach every page easily. Information Architecture, Findability, and Efficiency of Navigation are major concerns to take care of during setting up navigation of your website. Here I am listing top usability testing tools to check your website navigability. This platform will help you check your website navigation hierarchy. Treejack uses tree testing technique for evaluating the findability of topics in a website. Generate, manage and share your site maps using WriteMaps .This tool will help to build you perfect navigation tree for your website. Usability Hub’s Click Analysis will help to fetch information how your users on website switching through webpages. You can find whole path analysis, heat maps and user action flow by capturing every click performed by your users. A website should be accessible to everyone regardless of any physical disabilities, mobility issues, mobile devices, tablets, netbooks, web browsers (like IE, Chrome, Firefox, Safari, Opera). You need to give attention to Cross-Browser/Cross-Platform Compatibility, Semantic HTML Markup, Color Choice and Use of HTML Accessibility Features when performing web accessibility analysis. Below mentioned are top usability testing tools for browser compatibility testing. You can give your website URL as input and you will get mark up issues. This tool will be helpful for testing your web accessibility. Web page load speed is the first factor to retain users. I believe in the first impression is the last impression. Webpage response time, webpage size and code quality are considerations for evaluating the speed of a website. 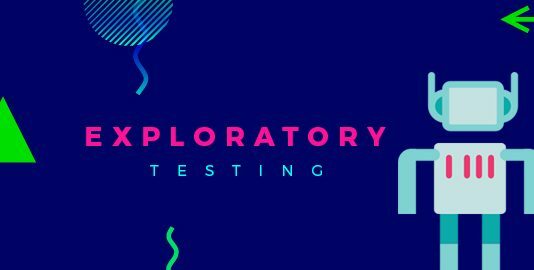 I have curated top usability testing tools to test your website speed. This is web-based tool to test webpage load speed. It is very easy to use. You just need to give input URL and it will give you report analysis for webpage size and load speed. If a website is not pleasant to use for a user, it is a very big problem for web developers and website owners. User feedback is key to improve the user experience of your website. Ask more questions to users, get more feedbacks and modify your website accordingly. We need to take care of fulfillment, usefulness, enjoyment and positive emotions while evaluating UX. There are many online platforms available where you can get user feedback. 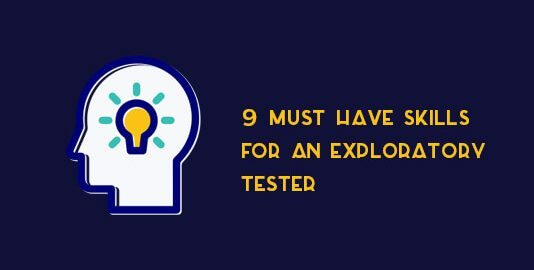 However, the below mentioned are some of the top usability testing tools that would server the purpose. This platform is helpful to obtain and manage user feedback. Well, these are the top usability testing tools in my opinion. Hope they help! if you use some other tool, kindly let us know in the comments below.